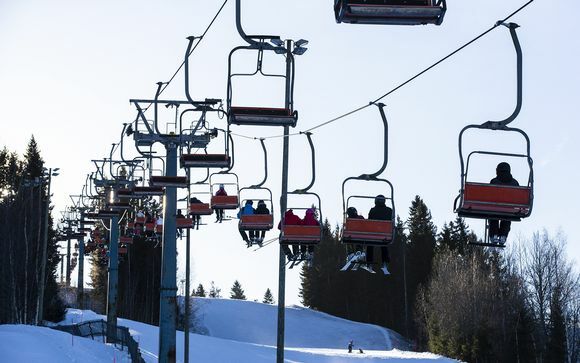 A 15-year-old boy attending a confirmation camp at the Himos ski resort in Jämsä, central Finland, died while skiing off-piste. The Safety and Chemicals Agency, Tukes, has ruled that there was no negligence on the part of a church that organised a confirmation camp during which a 15-year-old boy died. The youngster from Pargas in southwest Finland, died after falling six to eight metres off a cliff while skiing off-piste at the resort in mid-February. Tukes found that the Swedish-language Lutheran church had previously organised similar similar confirmation camps that included skiing activities and had observed the required safety regulations. "We have no comments to make, because the church had [the required] safety documents and risks had been mapped out. The camp location was familiar and the camp leader was experienced. Organisers had also reviewed the rules with participants. This matter is over as far as we are concerned," said Tukes specialist Mervi Murtonen. Police had previously said that there was no reason to suspect that any foul play was involved and that they would not begin a criminal investigation.